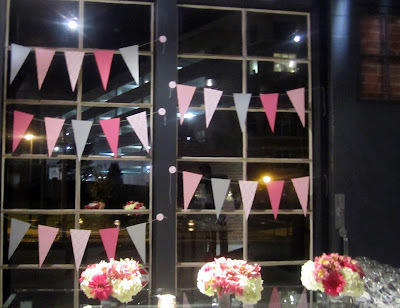 Jackie Fo: A Pink, White and Gray Birthday Bash! This past weekend we celebrated my sister-in-law Drew's 30th birthday with a Wine and Cake Party! I tried to plan a simple yet chic evening, at a wine bar in Charlotte's South End called Vinmaster. I think it turned out really great! 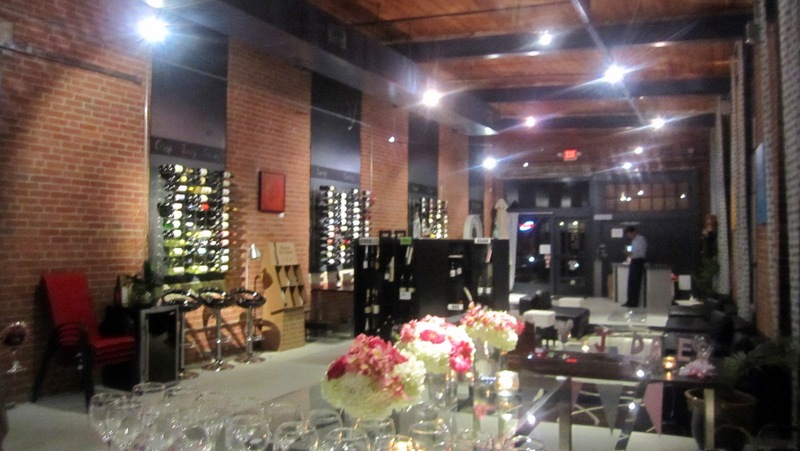 Check out the Vinmaster's cool decor! 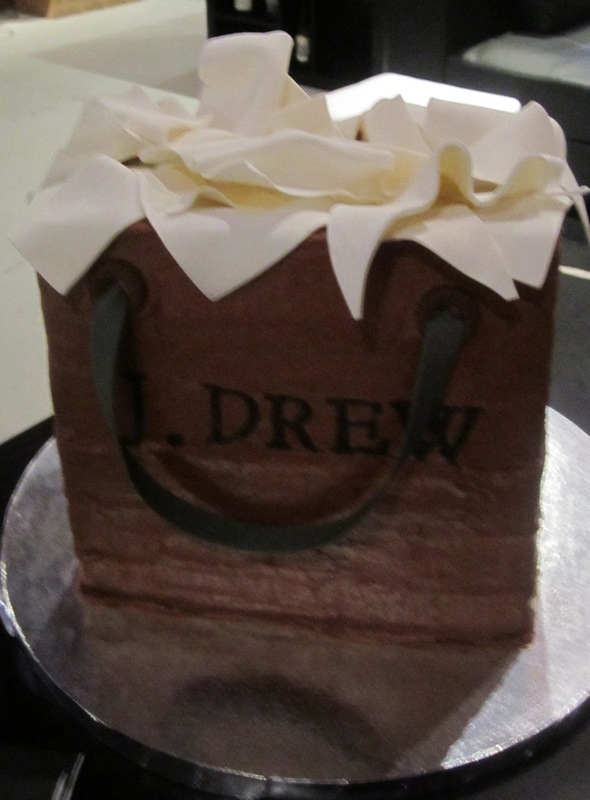 The underlying theme was based off Drew's favorite store of all time: J. Crew...aptly re-named for the evening, J. Drew. 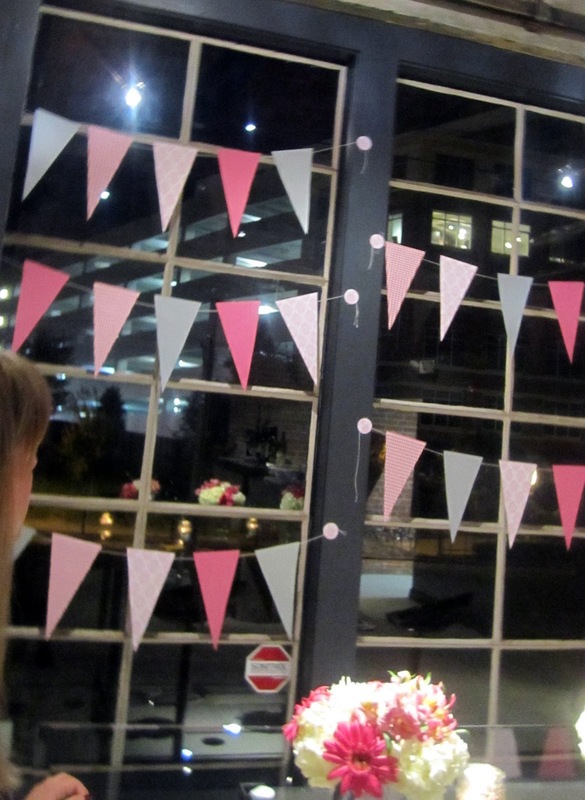 The colors were pink, white and gray. Jess also made me these fantastic cocktail tags! I made this simple bunting using gray and pink scrabpook paper. I love the look of bunting! 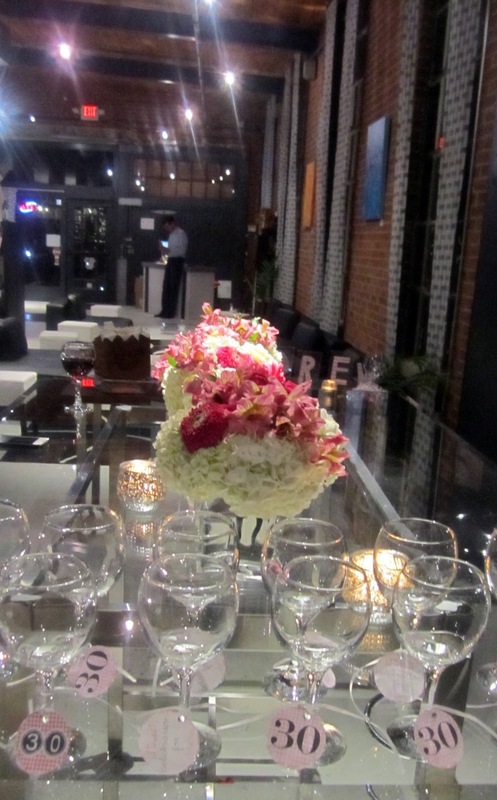 I made pink and white flower arrangements using white hydrangeas and pink flowers. I used mercury glass vases and votives. I really loved the way the flower arrangements turned out (if I do say so myself)! For the J. 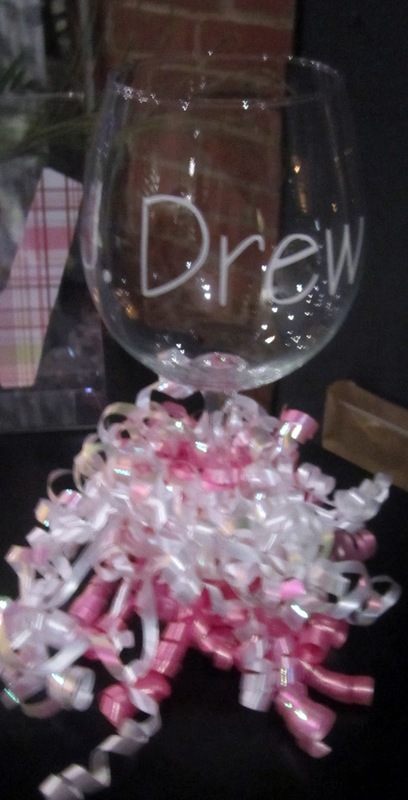 Drew elements, I had Blis (a fabulous gift store in Charlotte) create a personalized wine glass. Finally, the fabulous, amazing J. Drew cake that looks like a J. Crew shopping bag! How awesome is this cake! 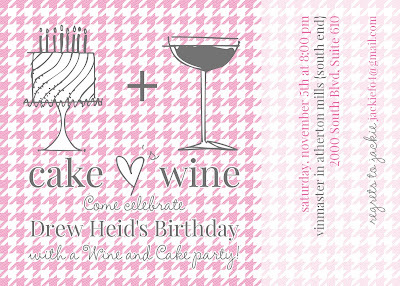 If you are in Charlotte and want the contact info for this fabulous cake maker, shoot me an email. Check out more of Wendy's cakes here! Happy Birthday Drew - Love you! Lovely, Jackie! 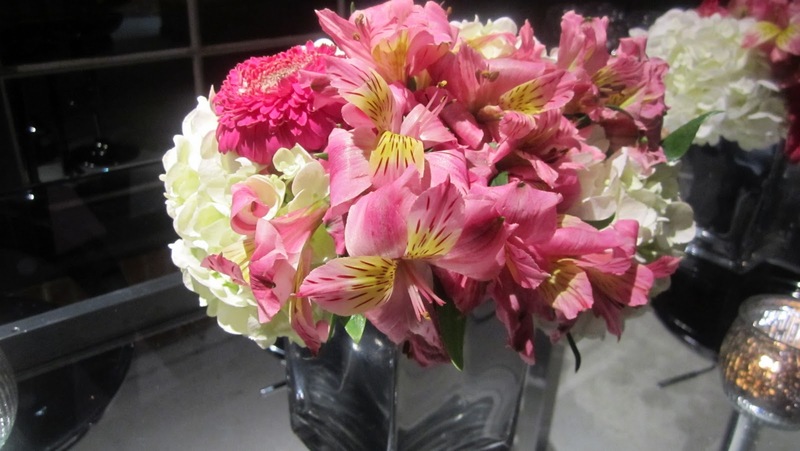 You did a great job on the florals. Haven't been to Vinmaster yet, adding it on my to visit list. Very pretty! Those invites are absolutely adorable! This is great! 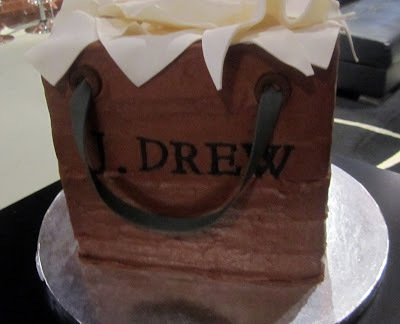 "J Drew" is hilarious! 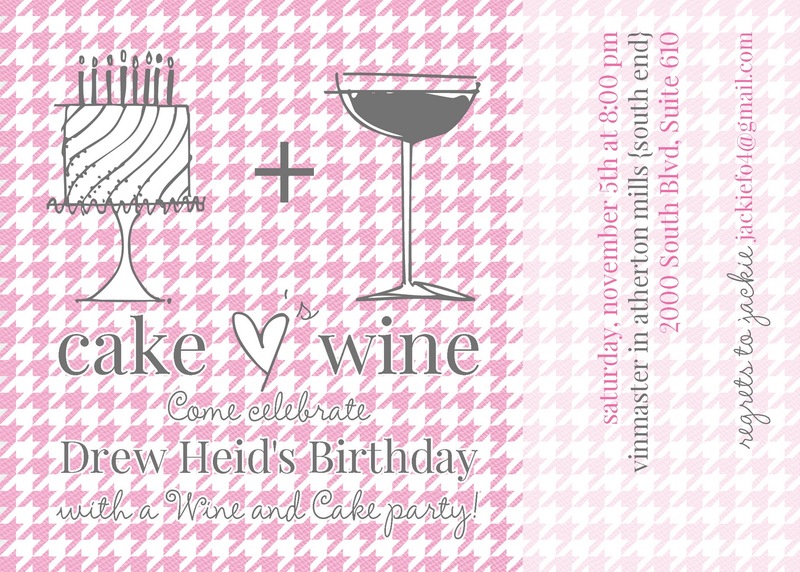 Looove those invites that Jess made too! How cute! Happy Birthday, Drew!